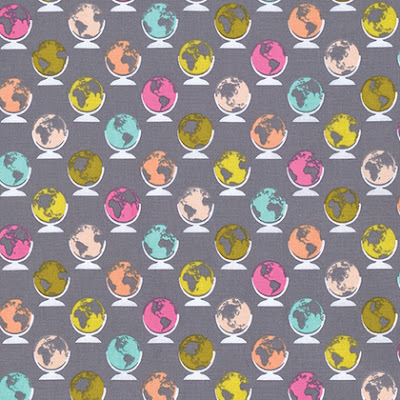 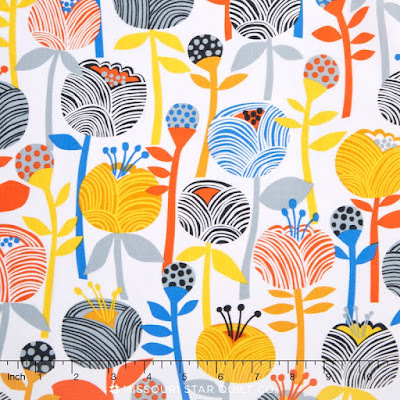 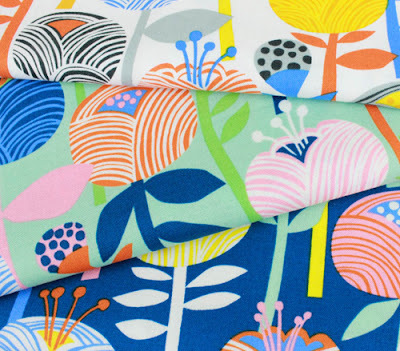 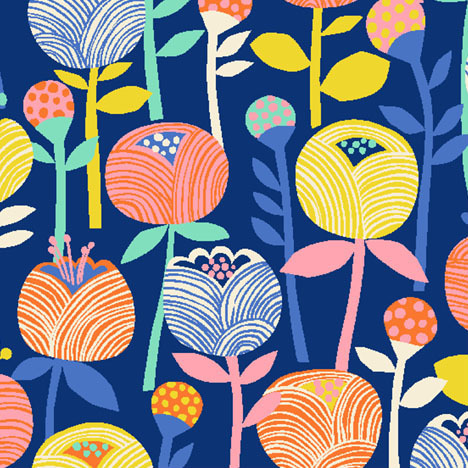 These colourful blooms are by Erin McMorris from her 'Noe' fabric collection with Free Sprint Fabrics. 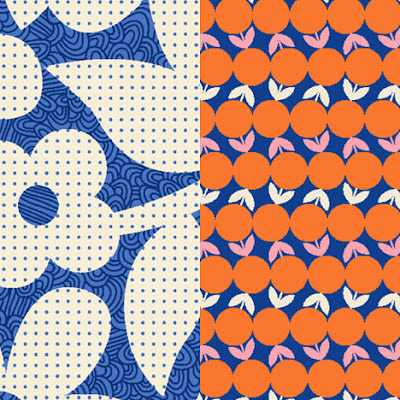 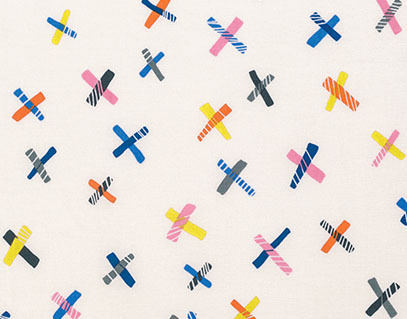 The bright graphic prints were inspired by a trip to San Francisco where she loved the city's crafty vintage style. 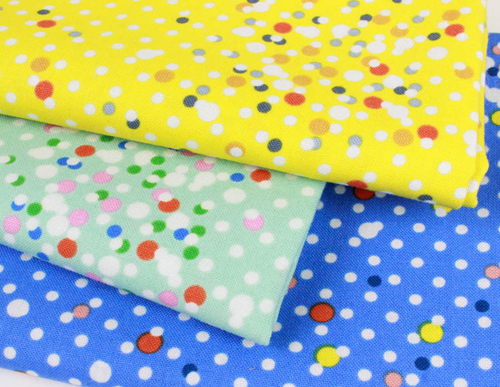 The collection is available now from stockists including Fabricworm. 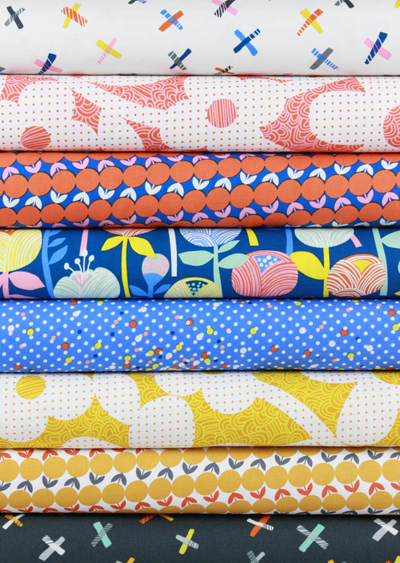 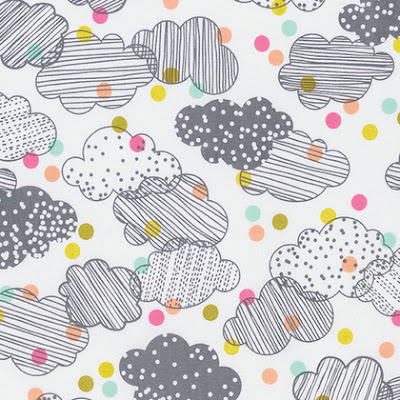 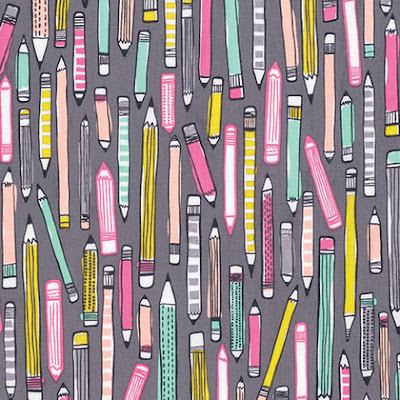 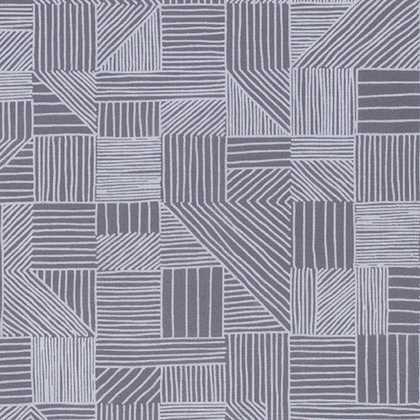 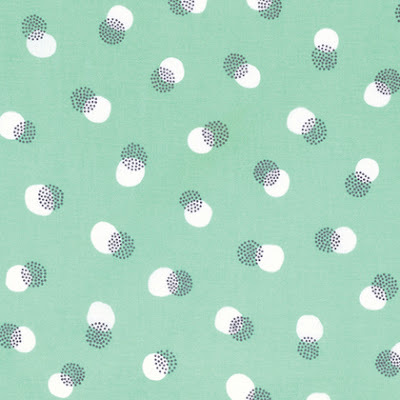 Erin's very latest collection for Free Spirit Fabrics is Noteworthy (below) which will be released in August. 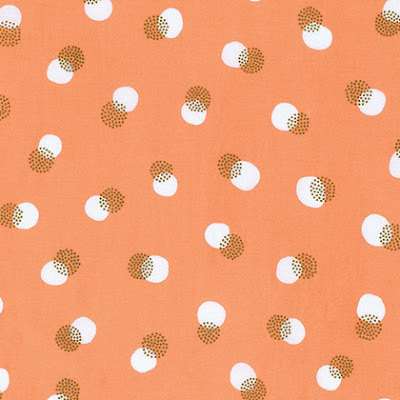 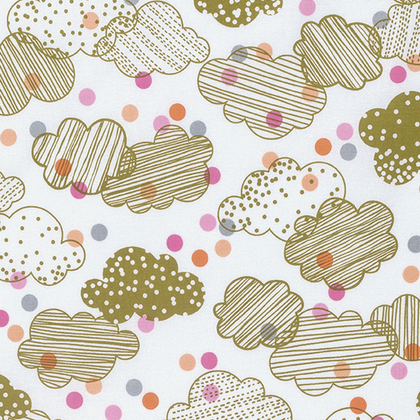 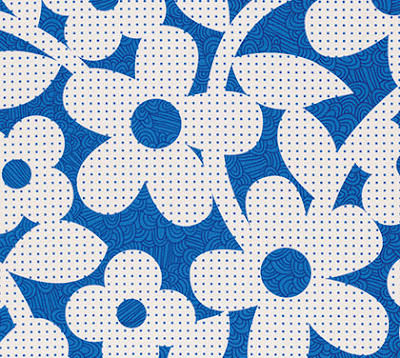 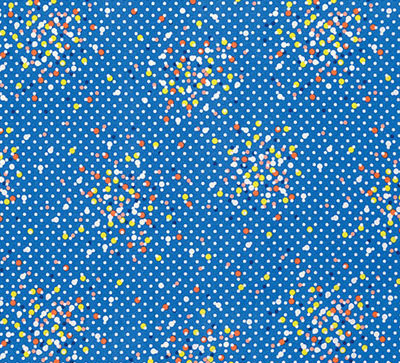 This range was inspired by traveling with a notebook on long flights staring out of airplane windows, where ploughed fields become linework patterns and ponds become dots.